Wrexham are through to the FA Trophy second round after beating 10-man Southport in their first round replay on Tuesday at the Racecourse. Scott Kay saw red on 33 minutes for a late challenge on Dragons' midfielder Jay Harris, before Andy Bishop fired the home side ahead two minutes later. Neil Ashton finished from a tight angle to double Wrexham's lead shortly after the break. 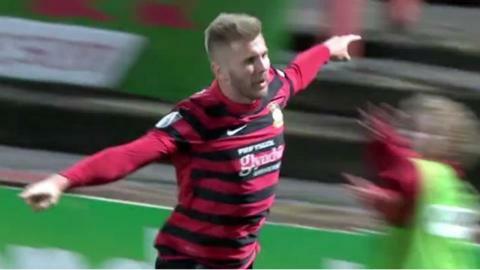 Wrexham will now play Stockport County away in round two on 10 January.